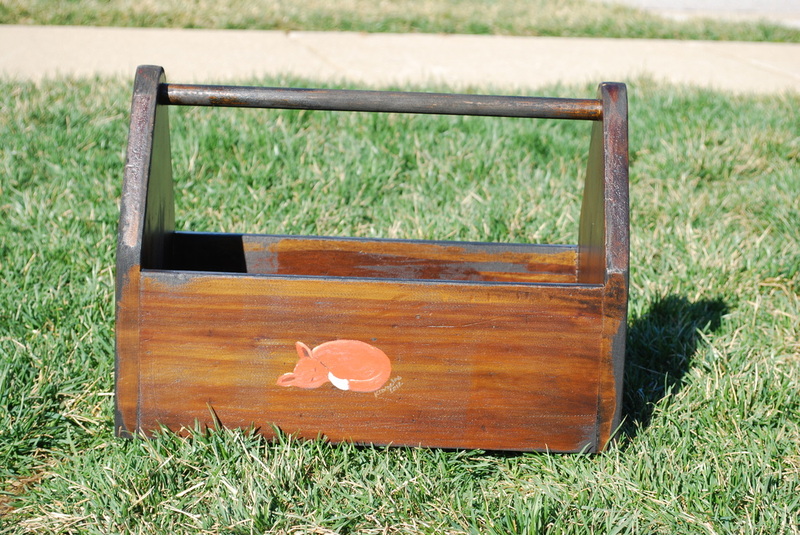 Meet the "Fox Box". 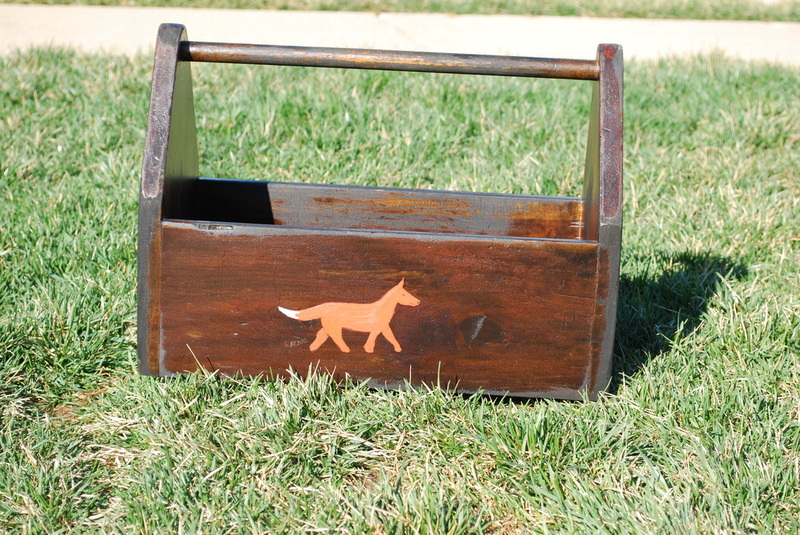 Solid wooden tool box / grooming tote that has been sanded and refinished with a dark stain and then painted with a different fox on each side. $60 Price includes postage.